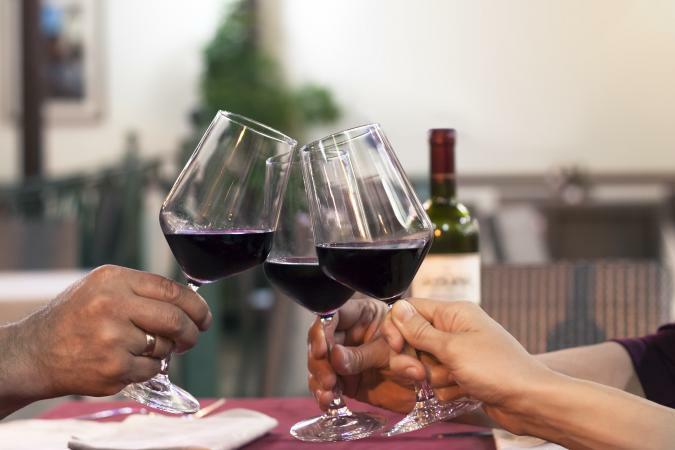 Dry red wines are a popular choice for wine drinkers around the world. While there are hundreds of dry red wine varietals from wine regions across the globe, several are among the most well-known and widely consumed. These are the reds you are most likely to find on grocery store shelves. What Is a Dry Red Wine? To be called a dry red, it means the wine has no residual sugar and therefore is not sweet. Sweet wines are produced when wine makers stop the fermentation process part way through, which leaves some of the residual sugars. A dry wine is one that has undergone the entire fermentation process wherein the yeast has consumed all remnants of the sugars found in the grapes. The most popular dry red wines come from regions all around the world. These lush, structured, tannic reds contain grape varietals found in France's Bordeaux wine region, although they come from skilled winemakers all around the world. Cabernet Sauvignon wines tend to be very hearty with a lot of tannins, and are typically blended with Merlot and Cabernet Franc grapes. Look for flavors like green olive, herbs, black cherry, or bell pepper. Merlot is a soft red that is beautiful when it's produced in Bordeaux, but some places have produced less than stellar wines, earning Merlot a pretty bad reputation a few years back. If you look for New World Merlots, consider Washington State. Merlot typically has flavors of watermelon, cherry, plum, and strawberry, and it's less tannic than Cabernet. Cabernet Franc is typically a blending grape added to Merlot and Cabernet Sauvignon wines, but is a great standalone wine as well. It flourishes on its own in France's Loire Valley. The bold wine typically has raspberry and plum flavors with leafy, herbaceous notes also common. While typically a blending grape in Bordeaux, it's now a powerhouse variety in places like Argentina where it's reached iconic status. You'll find Malbec has typical flavors like sour cherry and spice. Petit Verdot is a typical blending grape in Bordeaux, but you can find some Petit Verdot wines, especially in the New World options. The grape tends to have spicy flavors with violet aromas. Although Carménère is from Bordeaux, it really found its home in Chile. The vines originated in Bordeaux, but were wiped out in France by the phylloxera root louse in the 1800s. It's used in Bordeaux-style red wine blends, and Chilean wine makers are producing wines that are fruity, with lots of spice. These wines are typically tannic and complex with a core of dark fruits. Flavors and aromas in the wine include dark cherry, leather, tobacco, and stone fruits. Many Bordeaux-style wines age well because of the tight tannic core. These wines pair well with steak and other fatty red meats. These wines utilize grapes commonly found in wines produced in France's Rhône region. Grenache is a popular grape for red wines produced in Spain and Australia as well as those produced in the Rhône Valley. Common grapes you'll find it used with in the Rhône are Syrah, Mourvèdre, and Cinsault. It's the main component of highly rated wines like Châteauneuf du Pape and Côtes du Rhône. Grenache typically imparts flavors of spice and cherry, along with earthy notes. Syrah, or Shiraz as it's known in some places, has flavors of blackberry, boysenberry, pepper, clove, and plum. It is a strong and versatile grape that can be made into wines that range from light and fruity to ones that are very dense and spicy. 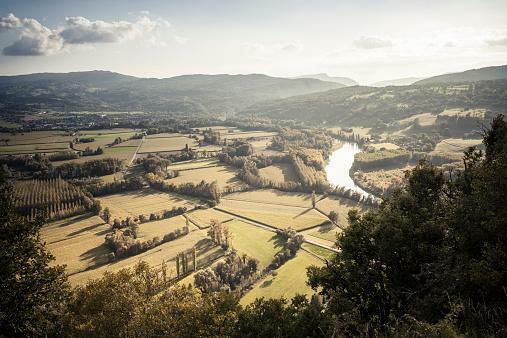 The difference often comes down to climate, even within the Rhône Valley itself. You'll often see Northern Rhône wines that are filled with black fruit, or are softened with the addition of the white grape Viognier. 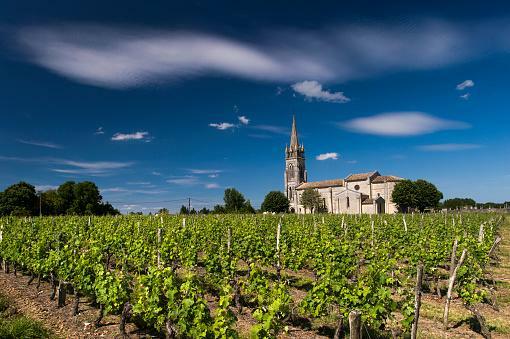 In spots like Hermitage and Côte Rôtie, the wines have a more earthy flavor, like tobacco. Meanwhile, in the Southern Rhône, Syrah still has its pepper and spice, but the addition of Grenache often adds a red fruit flavor and reduction in acidity. Mourvèdre originated in Spain, where it's known as Monastrell, but it's a popular blending grape in the Rhône Valley. Wines tend to be strong, with flavors of blackberry and black currant, and tannic. Aside from Châteauneuf du Pape, it's seen in "GSM" wines, the acronym for Grenache, Syrah, and Mourvèdre wines. Cinsault comes from the Southern Rhône and produces light and fruity wines. It's also used with Grenache in the primarily rosé area of the Tavel appellation. It's a high-yield and heat-loving grape, which makes it so popular for blending. As a whole, Rhône-style wines tend to be highly fragrant, spicy, and smoky with bold fruit flavors. Flavors and aromas include smoked meats, peppers, stone fruits, nutmeg, cherries, and spices. These wines are delicious and accessible. Depending on the tannic core, many age well but also drink beautifully in their youth. Rhône-style wines pair well with smoked and cured meats (ham and bacon), game meats, dark meat poultry, and braises. Burgundian reds use a single grape: Pinot Noir. Wines made from Pinot Noir can be smooth and silky or powerful and unctuous, depending on the region in which the grapes are grown and the style of the winemaker. These earthy wines contain flavors and aromas of dark cherries, tobacco, mushrooms, and berries. The wines age relatively well in spite of soft, well-integrated tannins. Because it's fragile and difficult to grow in some areas, stick to places that have a good reputation for producing quality Pinot Noirs. Two regions outside of Burgundy that excel at producing award-winning Pinot Noirs are California and Oregon. You can also find good Pinot Noir wines from New Zealand and Australia. This grape is the featured star in Italy's Piedmont region where it produces the region's most famous wines like Barolo and Barbaresco. These wines are typically high in tannins and acidity, but contain only medium alcohol levels. They age beautifully for decades, which is partly why they are so popular with collectors. Their flavor profiles can change over time and develop interesting and unique flavors like licorice, rose petals, and even tar. Look to pair a Nebbiolo with veal, pork, meat, or pasta with meat sauces. Consider paring Tempranillo wines with game, lamb, roast chicken, turkey, and braised beef. Grown in the Piedmont region of Italy, Barbera grapes impart silky texture and flavors of black cherry and plum. Popular wines include Barbera d'Alba and Barbera d'Asti. Barbera wines pair well with a variety of foods, including tomato sauce based dishes. The Gamay grape is mostly commonly used to make the light wines found in the Beaujolais region of France. The seasonal Beaujolais Nouveau is released first each year, which even sees an annual festival celebrating this wine. Gamay-based wines are typically not ones that need aging, they are meant to be enjoyed young. Look for bright fruit flavors and perfumy aromas. Developed by a French Botanist named Francois Durif in 1880, it's a cross between the Syrah grape with Peloursin. It was introduced to California a few years later and it's become a popular grape throughout the wine-growing regions in the state. It's also found in other New World destinations like Argentina, Australia, and Chile. Petite Syrah wines are typically dark, almost black in color, and have blackberry and dark fruit flavors, sometimes with a little pepper and spice. Look to pair Petite Syrah wines with grilled meats and BBQ, along with strong cheeses. This zesty, full-bodied, powerful wine is a New World favorite. With lush berry, jam, and pepper flavors and aromas, these wines contain a high alcohol content that packs a punch. Zinfandel pairs well with red sauces, baked pasta dishes like lasagna, and pizza. California produces some of the world's best Zinfandels, but you can also find the grape in Italy's rustic Primitivo wines. 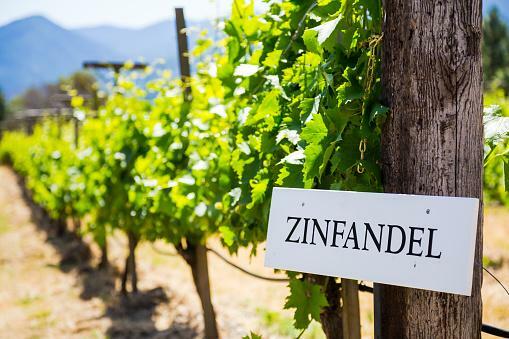 Zinfandel's ancestry has been traced back to Croatia, but California is definitely the one most Zinfandels are modeled after today. Best known as the grape in Italy's Chianti, Sangiovese is gaining popularity among New World wine producers, as well. Sangiovese is medium-bodied and fruity, with flavors and aromas of violets, plums, and cherries. Often, wines from this grape variety have a tart finish. They pair well with pastas with red sauce, pizza, and red meat braises. Other examples of Sangiovese include Brunello di Montalcino and part of Super Tuscan blends. You can also find Sangiovese varietals from California and Washington State. What makes a dry red popular? The wine's accessibility and drinkability are extremely important, as is its versatility in food pairing. Collectors also like wines that have aging potential, with a firm structure of tannins that softens with years of careful cellaring. Other wine drinkers prefer wines with integrated tannins and lush fruits that can be served while the wine is still relatively youthful. With so many varieties and flavor profiles for dry red wines, finding your favorite is often a matter of trial and error. If you've sampled a few and haven't yet discovered one you enjoy, keep trying. So many different styles exist that it is a matter of finding the one that suits your taste buds and your budget.